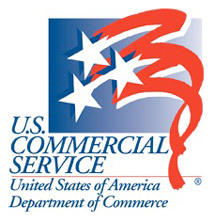 As a division of the U.S. Department of Commerce, the primary purpose of the U.S. Commercial Service is to help U.S. companies start exporting or increase sales to new export markets. The Commercial Service works to further President Obama's goal of doubling U.S. exports by the end of 2014 as part of the National Export Initiative, and has a global network of offices in more than 100 U.S. cities and in more than 75 countries around the world. The Commercial Service's team of education specialists helps connect U.S. education and training professionals with students, recruiters, and potential partners across the world by organizing informational webinars, recruitment fairs, virtual education events, and one-on-one meetings through the Gold Key Service. The Commercial Service education team also compiles newsletters and market research reports in order to inform clients on the latest international outreach opportunities. AAIEP promotes and supports ethical and professional standards for intensive English programs in the U.S.; communicates and champions the value of English language study; enhances the visibility of member programs; and fosters professional development among members. AAIEP believes that this mission is best achieved through the advancement of Standards, Advocacy, and Outreach for Intensive English programs in the United States. 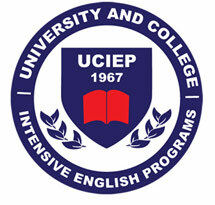 advocating on behalf of member programs, the organization, and the field of teaching English as a second language. The mission of the Commission on English Language Program Accreditation (CEA) is to promote excellence in the field of English language teaching and administration through accreditation of English language programs and institutions worldwide. CEA achieves its mission by using widely-held standards to foster continuous program development through a rigorous process of regular self-assessment and peer evaluation. CollegeWeekLive (http://www.CollegeWeekLive.com) provides the world's largest college fairs and online admissions events. With hundreds of colleges and universities exhibiting and more than 350,000 registrants, CollegeWeekLive revolutionizes college admissions, making the process easier and more cost-effective by bringing students, parents, counselors and colleges together online, transcending time and distance. CollegeWeekLive is produced by PlatformQ, whose mission is to connect people, companies, organizations and associations worldwide to meet, interact and learn from leading experts and thought leaders through proven interactive tools at online events. Prospective students and their family members often lack the time and money to travel to every campus they would like to visit. YouVisit's proprietary technologies make it easy for you to reach them - no matter where they are in the world - to experience the next-best thing: virtual college tours. YouVisit uses its proprietary technologies to develop affordable virtual campus visits for colleges and universities, enabling prospective students and their families to explore campuses online. As the only technology company that provides campus virtual tour technology, we are recognized nationwide as a leader in the field. Unlike traditional college tours, our Virtual Visits feature walking tours with rich-media, video content and 360-degree panoramic views. Our interactive, three-dimensional virtual visits stimulate visitor engagement and interest while driving physical college campus visit, inquiries, applications, and enrollment for our partner schools. Pubble (http://www.pubble.co) is a real-time Q&A plugin for websites, blogs & Facebook pages to crowdsource the best FAQ's for anything. Pubble takes a different approach to most Q&A plugins in that we put the Q&A layer on top of your existing content. We believe that your Q&A should live in context (i.e. the Q&A threads relate to the content page that they live on). We also believe that everywhere that you live online should work together to build your Q&A community on your site.